Unlike life insurance lawyers or general insurance lawyers, Michael Bartolic, LLC is a unique kind of law firm serving executives and other Chicago professionals in employee benefits and deferred compensation matters. The Firm devotes itself full-time to representing individuals in disputes arising under ERISA § 502 and the pre-litigation administrative claim and appeal process. The Firm handles all sorts of claims on behalf of individuals under ERISA § 502. Most employee benefit plans are governed by the Employee Retirement Income Security Act of 1974, more commonly known as ERISA. While ERISA does not mandate that your employer provide you with a pension, 401(k), long term disability, life insurance, or health insurance plan, ERISA demands employers that choose to provide such benefits comply with complex rules and regulations. The Firm represents executives and other professionals in Employee Benefits Discrimination and Interference Claims arising under ERISA § 510. ERISA prohibits any adverse employment action against an employee for exercising any right under an employee benefit plan. It also protects employees from interference with their attainment of any right under a benefit plan, and retaliation for participating in proceedings related to ERISA. Michael Bartolic, LLC represents individuals facing claims by employee benefit plans for recoupment of overpayment of benefits. The Firm successfully resolved cases involving pension overpayments, long term disability overpayments, and health insurance overpayments. In approaching these matters, the fact of whether or not the overpayment occurred is often a subsidiary inquiry to how it occurred. When a private employer offers certain benefits, including retirement, health insurance, or long term disability insurance, the plans offered must comply with the requirements set out by the Employee Retirement Income Security Act, also known as ERISA. One requirement is that ERISA imposes a strict fiduciary duty on certain individuals who are involved in the management of a benefit plan. This is important, because when a plan is mismanaged, it can harm employees and can deny them benefits to which they would have otherwise been entitled. Serious physical or mental health conditions can arise when you least expect them, and they may prevent you from working and earning a living. Fortunately, if you have ERISA long term disability insurance coverage through your employer, you can receive monthly benefits while you are unable to work. However, before you can receive benefits, you must first apply and have your claim approved. In order to have a claim approved, you must be deemed to have a condition that qualifies as a “long term disability” under your policy. Employee benefits can come in many forms, from health insurance to retirement funds to long-term disability insurance. When private employers decide to offer certain benefits, they must make sure that their offerings are in full compliance with the federal law, the Employee Retirement Income Security Act (ERISA). For a benefit plan to be covered by the law, it must be established and administered by the employer and must cover at least one employee. When an individual receives a denial of a valid insurance claim, they often have the right to file a legal claim against their insurer to obtain the proper benefits under their coverage plan. If your insurance plan is an employer-provided plan regulated under the Employee Retirement Income Security Act (ERISA), however, there are highly specific and strict procedures for appealing a claim denial. Not every private employer in the U.S. is required to provide access to an employer-sponsored pension or retirement plan. However, if a private sector employer does choose to do so, they do not have the discretion to completely design a plan however they wish. Instead, such pension funds and plans must comply with the Employee Retirement Income Security Act of 1974, commonly known as ERISA. The following is some information regarding pension funds and plans under ERISA. Providing health, retirement, and long term disability benefits for employees can be extremely beneficial for both the employer and employees; however, such benefits are not cheap; and employers are always seeking ways to cut back on costs. If they want to reduce spending on health plans or pension plans, a company may be tempted to terminate an employee who has a serious medical condition or who has a pension that is about to vest. If this occurs, the employee is not only left without an income,, but also without access to the benefits they need and deserve. As with any other type of insurance, you may have many options when selecting long term disability insurance, which provides benefits in the event you become disabled and cannot work for an extended period of time. There is the option to purchase an individual insurance policy on your own by simply choosing a provider, signing a contract, and paying premiums directly to the insurance company. However, in many cases, your employer may provide a group plan for long term disability insurance. We handle ERISA § 502 claims against group health insurance policies and administrators for benefits payable under the plan and breaches of fiduciary duty. The firm has represented countless clients in getting health plans to cover the cost of necessary services and in forcing employers and other fiduciaries to pay the cost of services due to misrepresentations and other breaches of fiduciary duty. 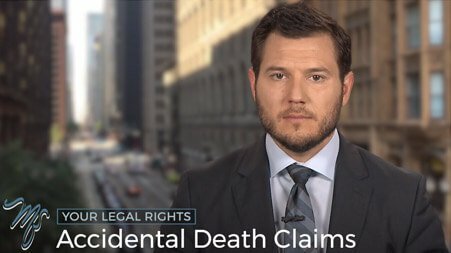 Michael Bartolic is a life insurance lawyer who represents individuals with disputes over life insurance and accidental death and dismemberment benefits under ERISA § 502. 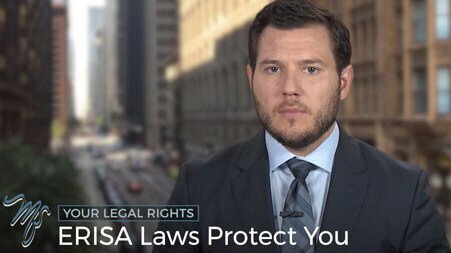 In addition to claims arising under ERISA, the life insurance lawyers at Michael Bartolic, LLC handle claims against insurers of individual policies, as well. The Firm has successfully resolved cases for both the life insurance benefits under the terms of the policy, and claims where benefits would have become payable except for a breach of fiduciary duty, usually a misrepresentation. If you work for an employer that provides you with long term disability (LTD) coverage governed by the Employee Retirement Income Security Act (ERISA), you should be able to expect that you will receive the benefits you need if you become disabled and properly file a claim in accordance with ERISA claims procedures. However, your application for benefits will be reviewed by a claims administrator who is likely working for the insurance provider. Retirement plan claims arise in a number of different contexts, but all contexts share one thing in common: your benefit or your account balance is not worth as much as it should be. That’s when you need a retirement benefits attorney. 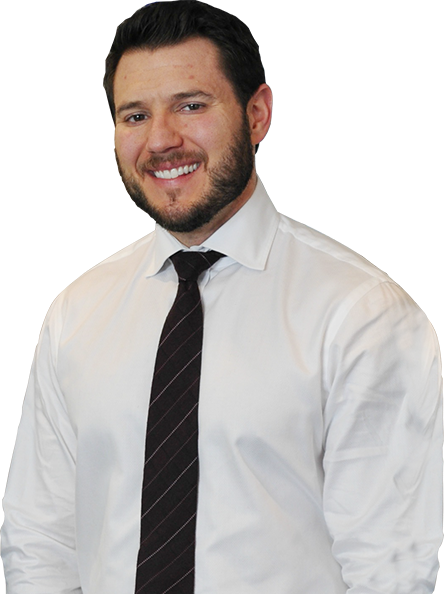 Michael Bartolic, LLC has represented clients with claims against all types of ERISA covered retirement plans, including defined benefit pension plans, ESOPs, 401(k) plans, profit sharing plans, cash balance plans, SERPs, and other executive retirement plans. 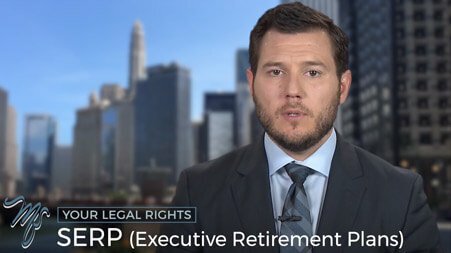 Michael Bartolic represents executives and managers who have been denied benefits under a supplemental executive retirement plan, excess benefit plan, or any other deferred compensation or retirement plan for executives and management, including short term and long term incentive compensation. Most forms of deferred compensation and retirement plans available only to executives or management lack some of the features other retirement plans offered to all other employees. Severance benefit claims in Chicago and the rest of the country arise in several contexts. Your employer may have a formal written severance plan, sometimes called an income protection plan, applicable to all employees or a select class of employees, outlining the number of weeks or months of separation compensation payable in the event of an involuntary termination. These plans may or may not include other benefits, usually continued participation in the employer’s health insurance plan at a subsidized rate. 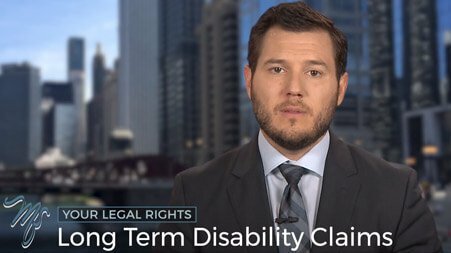 The Firm handles claims for short term disability benefits under employer provided disability plans and programs in the Chicago area and in the rest of Illinois. Employer provided short term disability plans may or may not be governed by ERISA, often depending on the method of funding. Whether or not the plan is covered by ERISA dramatically alters the process by which you claim the benefits and appeal any denial. 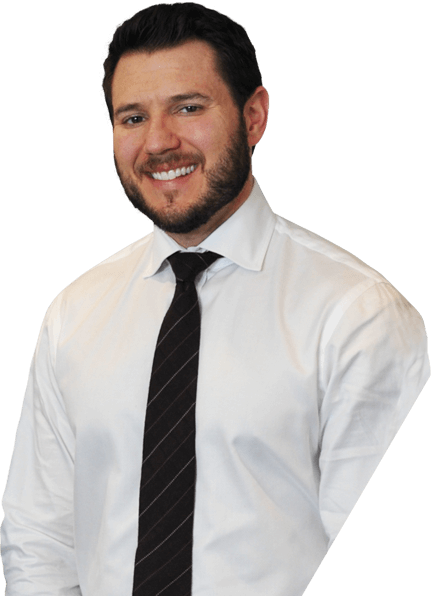 From the moment I contacted Michael Bartolic to now, attorney Bartolic has been absolutely one of the best professional attorneys that I have had the pleasure to work with. Very knowledgeable, straight forward and an absolute warrior for their client (meaning me). I have been fighting an uphill battle to get the benefits that I’d paid for during my employment. Attorney Bartolic took the challenge and has made me feel that I am not alone in this journey. I was tired and was feeling pretty low but now my head is back up and I know that I am not alone; because I have the best attorney for the job. I hired them to help with long term care claims and disability insurance claims. They have done a great job and I am very happy with the results. I would definitely use them again and would gladly recommend them to friends. They are very responsive, knowledgeable and understanding, all of which is extremely important when you are having health problems interfering with your work and life. The diagnosis if Multiple Sclerosis was devastating. The symptoms are unpredictable and life altering. Attempting to obtain disability benefits to provide financial security for my family was overwhelming. Michael Bartolic, LLC eased this burden by handling the complex process of filing y claim for disability and guided me, step-by-step, through the process. Michael Bartolic, LLC understood the significance of the key concepts and terminology used by my disability insurer, obtained the necessary information needed to assure that my claim was clear and well-documented, and educated those reviewing my claim about my disease. My team at Michael Bartolic, LLC was professional, experienced, compassionate and aggressive in handling my claim. Michael Bartolic, LLC gave me peace of mind, and the freedom to focus on my health and my family. I highly recommend the professional services of Michael Bartolic, LLC. 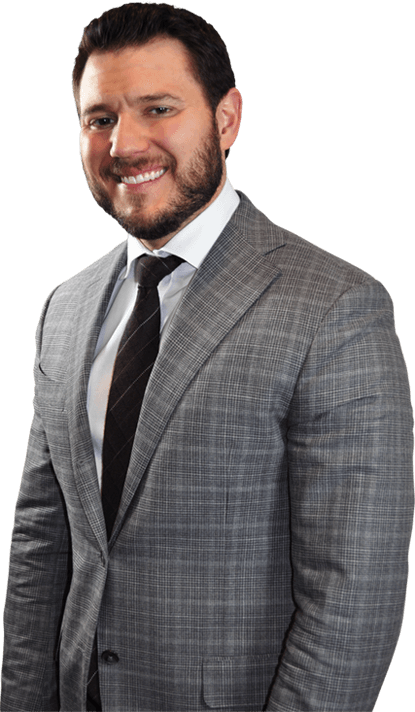 Michael Bartolic is a highly skilled and personable professional who provided me with the personal attention I desired. He is diligent and committed to his work and professional development. Michael is a man with passion for the law and kindness in his heart. 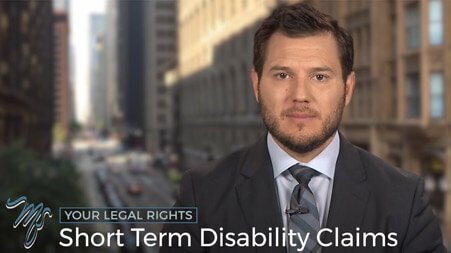 I consider myself fortunate to have had Michael Bartolic represent me in my recent disability case. My experience with this law firm was positive from the first telephone interview. I researched many lawyers. I started with a simple Google search. I wanted a downtown office and a lawyer that had experience with my type of case. But more important I found a firm that took the time to answer all my questions. When I talked to Michael in person he gave the impression of a man who seemed to care about my case. As my case developed they called and kept me in the loop. I was surprised after a short time had passed that the insurance company ruled in my favor. I have to believe if not for the Law Offices of Michael Bartolic I would not have been receiving any of my LTD that I paid for while working at my company. My experience with the Law Offices of Michael Bartolic has been better than good. When you think of most lawyers, you think of them not wanting to call you back. You were completely different. Not only did you win my case, but you took the time to communicate with me and explain things to me. I don’t know what I would have done without you! Thank you for making a profound difference in my life! I am finally at peace with [husband’s] passing, and am slowly achieving a quiet measure of happiness. Together, you made this possible. I can’t tell you how much I appreciated working with you. You made yourself available to me when I called and you were on top of everything. You did a terrific job with my case and quite frankly, I could not have asked for more. I wish you every success with your practice and your personal life. If I’m back in Chicago, I’ll make sure and look you up. We’d like to learn about your life and how we can help you to make it better.